As you all are aware of the prevailing news of Guwahati youth Nilutpal Das and Abhijit Nath are killed by villagers in Karbi Anglong, Assam you all should know the exact situation. People should change their mindset towards humanity. This tremendous incident of Guwahati youth Nilutpal Das and Abhijit Nath are killed by villagers in Karbi Anglong, Assam has proved that the people of 21st century can fall to a such a lower and malicious extent. Humanity ? It should be questioned. The two men Nilutpal Das and Abhijit Nath holding up their positions as an engineer and a business men respectively, were been wrongly accused as child kidnappers and people compelled and humiliated them to death, on the basis of rumours, without investigating the truth. Rumours had been spread all over, that children are been kidnapped on Dokmoka, located at Karbi Anglong, Assam. Although the situation of kidnapping may be true but the men that the local people suspected were wrong to a great extent. These two men were just travelling to Dokmoka, on 8th June 2018 (Friday), while around 8pm the people dragged them and beaten them to death, viscously proving the sense of inhumanity they have in themselves. You all may also have seen a video uploaded after the incident where Nilutpal Das pleaded to let him live and not take away his life, further mentioning that he is an Assamese and the names of his parents to be Gopal Chandra Das and Radhika Das. He pleaded until his death with a hope that he will survive. But people's humanity have completely been faded in today's generation. There was none who showed up their belief in them. They were brutally killed. Like how can people be so inhuman ? The Chief Minister of Assam, Sarbananda Sonowal criticized this incident and promised to ensure justice to the families of the victims, with strict evidences. Actions should be taken without a delay. Where did humanity faded ? Weren't they our own people ? Does one have a slight thought how will the families of these victims will confront such a tragic situation ? If it was the case with their own sons, would they still remain silent ? Just because they were travelling to that specific place at night they were killed ? Rumors prevails but at least one should have stand up to investigate the real situation and catch the main culprits instead of these innocents. I really couldn't figure any day why the people wants to take action on their hands, on whatever matter it is, instead of relying upon the police administration and the government. The government should take immediate and strict actions towards the situation of Guwahati youth Nilutpal Das and Abhijit Nath are killed by villagers in Karbi Anglong, Assam. It is agreeable that people have their rights but only to speak and take actions in a justifiable way. Actions ? No they don't even possess that right. They do not posses any power to take away anyone's life. The people along with our government, should open up their eyes and take actions towards the main suspects who are roaming freely all around and there are still chances for such incidents to happen again in the future. 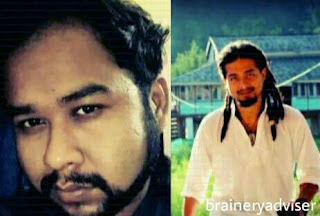 The Guwahati youth Nilutpal Das and Abhijit Nath are killed by villagers in Karbi Anglong, Assam, was a treacherous incident that none could have ever imagine. Justice should definitely be assured to the families of the victims. But at the same it should be kept in mind that after any incident the actions are also valueless as they are not capable to bring back the lives of our dear ones. Education is proving itself insufficient and incapable to change the mindsets of today's generation. Actions and steps should be taken before a treacherous incident take place. A hope that the state and the people will have a progress, is fading away. The government is the only one who shall try to rebuilt the faith in the people.